I forgot to add these photos of my day/outfit this past Sunday. To be honest I lost my cord that connects my camera to my computer, which is the reason for a few days of no posts. Finally I found it, buried underneath clothes in my room...typical. I always love going to farmers markets to pick up fresh fruits and vegetables, but this time I ended up going opposite and buying candy, lemonade and chocolate milk. 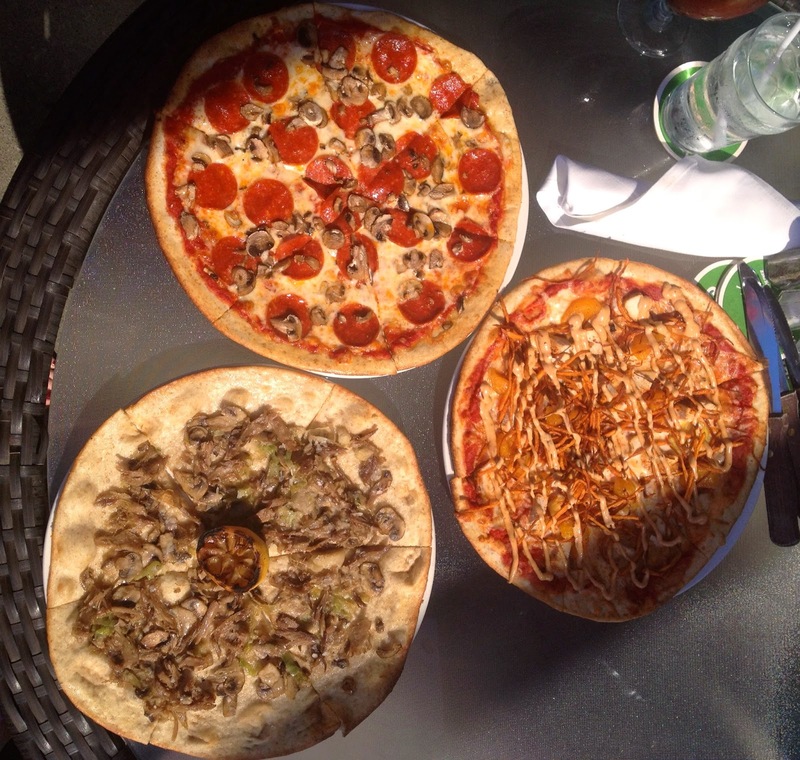 My sisters and I finished our day at a local restaurant near my house with some pizza and caesars on the patio.